As winter slowly releases its grip on us, thoughts turn to spring... crocuses popping from the dirt, long days of mountain biking and leisurely seaside walks. It's time to transition from the down jacket to the cardigan—unless you're heading way north to spend the month of April dragging a sled across 650 kilometres of frozen tundra and sea ice. 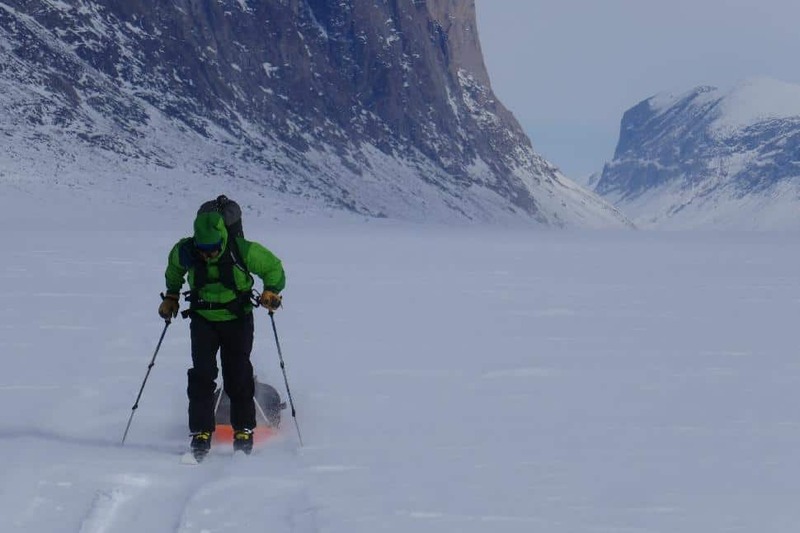 On March 28th, David Reid, Gary Tutte, Richard Smith and I will be setting off on a ski trip to do exactly that during our Arctic Return Expedition, travelling self-propelled between the Inuit hamlets of Naujaat and Gjoa Haven. 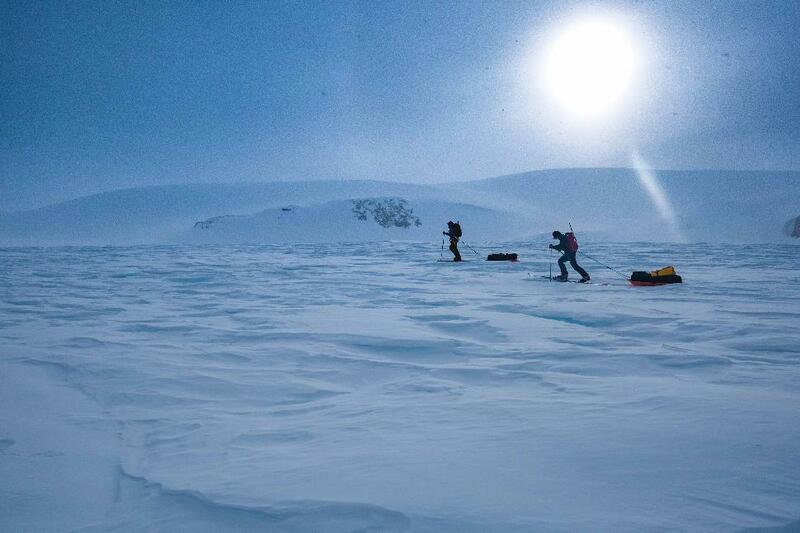 The journey will be a challenge: polar bears will prowl the broken sea ice; temperatures promise to be consistently below -20 C and much colder when white-out windstorms rake the land; the effort will rack our bodies with muscle aches, blisters and fatigue. Now “why,” do you ask, “would anyone do such a thing? April is time to plant the garden and lube the bike chain, not lose your nose to frostbite or be eaten by a bear.” The reason is simple: because John Rae did it, that's why. John Rae is one of the great explorers of the past few centuries. Unlike contemporaries of his time like Sir John Franklin and Francis McClintock, Rae travelled with indigenous expedition partners, learning about and utilizing their traditional knowledge so he was able to move in a far lighter and efficient manner than other explorers of the time. Born in Scotland's Orkney Islands, Rae spent decades surveying and exploring remote areas of Canada for the Hudson's Bay Company. This work eventually culminated in 1854 with his greatest discovery, which happened during the very journey we hope to emulate. 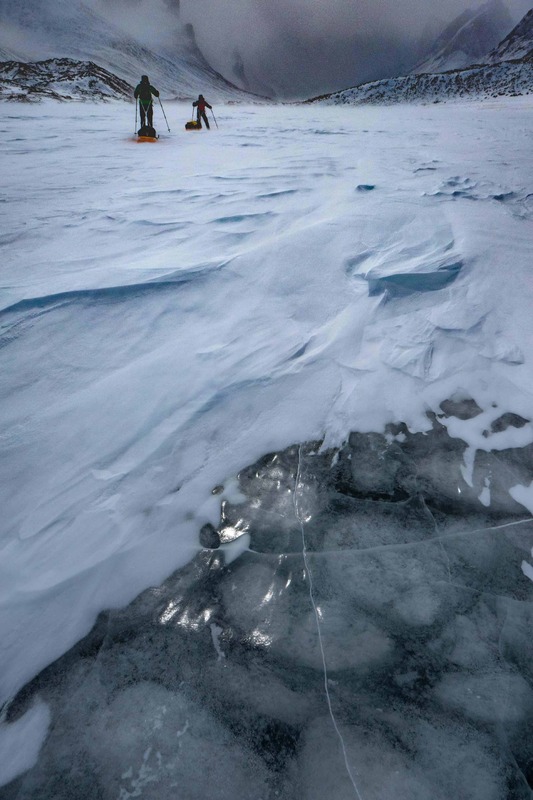 On that venture, Rae found the final navigable link through the Northwest Passage—now known as Rae Strait—that Norwegian explorer Roald Amundsen eventually used to be the first to navigate the entire Passage by boat. During this expedition, Rae also was the first to confirm that Franklin and his entire crew of 128 people had perished seven years earlier in their attempt to navigate the Passage. Grisly stories of kabloona corpses as reported by Inuit he encountered, as well as trinkets from the doomed ships Erebus and Terror, gave irrefutable evidence of the demise of all the participants in that journey. A detailed account of this can be found in the excellent book Fatal Passage by Ken McGoogan. Unfortunately, Rae was swept to the back pages of the history books at the time as British society couldn't cope with what he brought to light. Franklin's widow and Charles Dickens, among others, were aghast at the evidence Rae brought back, in particular the fact that the desperately starving crew resorted to cannibalizing their dead comrades. Our journey will be the first to retrace Rae's line, and in doing so, we'll share the intimate story of his journey and of the Inuit people who frame the route. In addition, we'll be promoting the restoration and conversion of his family home in Orkney into an interpretive Arctic History Centre. Like with any remote, self-propelled expedition, we'll need to be equipped to deal with all sorts of weather and terrain related difficulties. Our team will be fully self-supported, so we'll be travelling with everything we need to survive and thrive in this wintry arctic wilderness. It all comes down to basics: once we have our shelter, food, travel and clothing needs met, we're good to go. Every evening, as the daytime temperatures drop, we'll be looking to snuggle into our sheltered winter quarters. John Rae, having learned from the Inuit, built igloos whenever he was able. He didn't have the luxury at the time of Hilleberg's Keron 4 GT tent, which is built to withstand high winds, is easy to set up and take down and has a spacious vestibule for cooking. Inside the tent, as we post daily reports, haikus and other vital communications, we'll be steeped in the luxurious combination of Fjallraven Polar -30 sleeping bags and Thermarest NeoAir Xtherm sleeping pads. I only wish my bed at home was as comfortable. 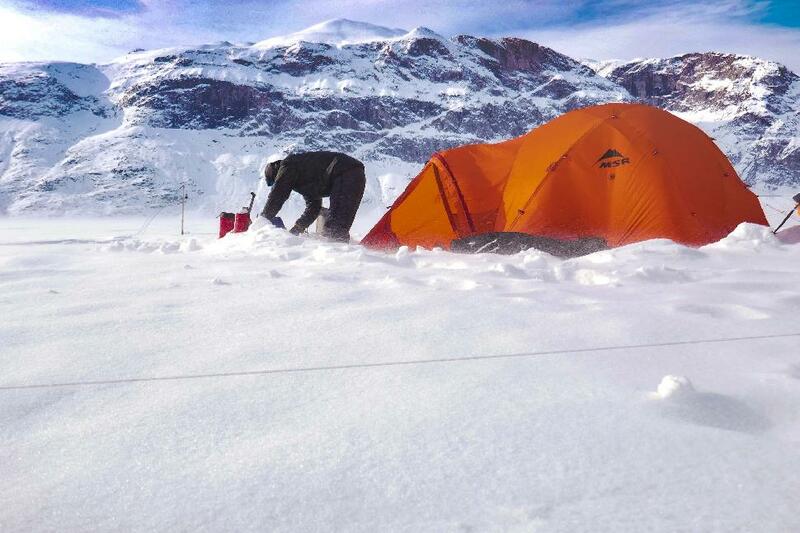 Any Arctic expedition requires a stove to reliably melt snow for daily hydration and food needs. Rae ate a lot of pemmican and melted snow using a traditional 'qulliq': a seal oil lamp used by the Inuit. Instead of a qulliq, we'll melt snow and boil water with the most reliable, functional and maintainable stove on the planet for this purpose: the MSR XGK-EX stove. Paired with the MSR Arctic fuel pump, it is the ultimate nourishment lifeline for any cold-weather venture. We'll have a bit more variety in our food than Rae, with a mix of freeze-dried meals and a cornucopia of high calorie snacks....and coffee of course. 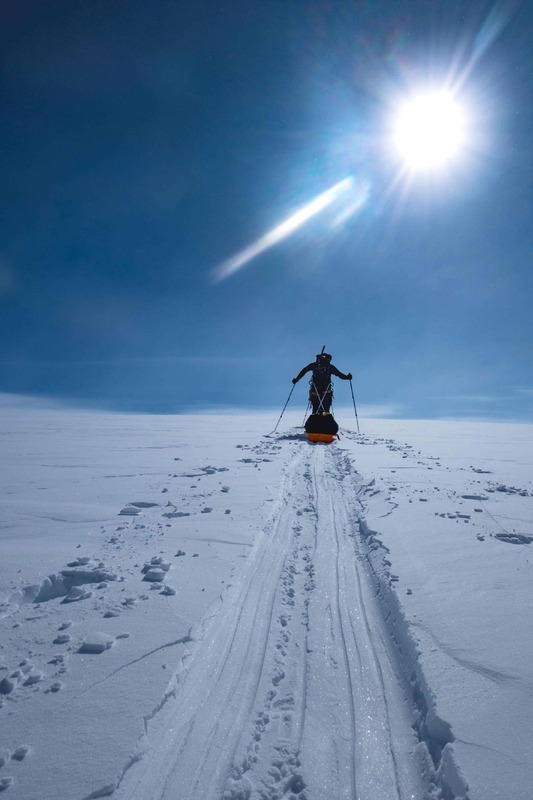 In order to haul a custom Pelican expedition sled loaded with 175 pounds of gear contained within colour-coded Sealline Blocker Cinch sacks, I'll be equipped with a pair of Fischer S-Bound 98 skis and a set of G3 Alpinist+ Speed climbing skins. Every bit of glide counts as we need to cover 20 kilometres per day in variable conditions over the course of the journey. With the cold, windy conditions, we need something that breathes but still blocks the breeze from cutting us through to the core. 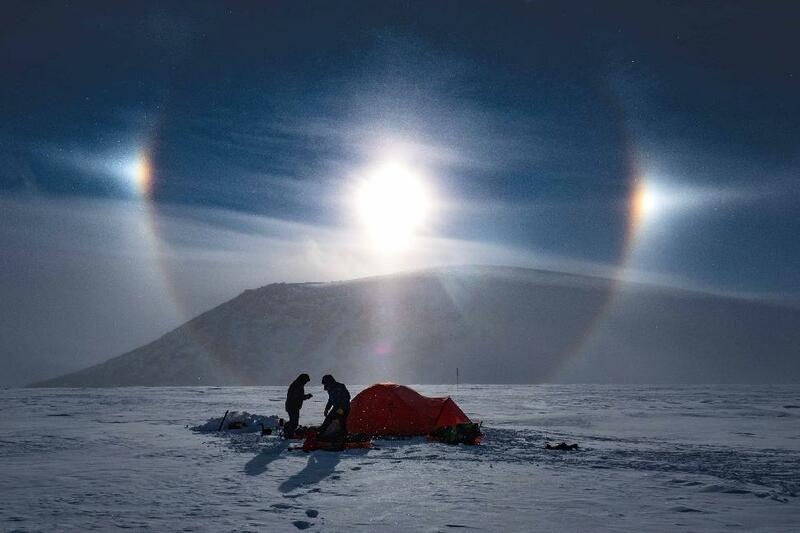 To achieve this, we'll be wearing a combination of the Arc'teryx Alpha AR Jacket and Alpha AR pants. These shell items will see us through this journey and many more. When the wind is down and I want to use a nice breathable, stretchy layer, I'll fire up the Arc'teryx Gamma MX hoody and Gamma MX pant. John Rae, endurance animal that he was, would likely approve and maybe even swap his caribou skins for such a combo. During breaks along the way and around camp, we'll bask in the toasty warmth of our Canada Goose Skreslet Parka and Down Pants—it's like bringing a Caribbean microclimate with you to the Arctic. To accessorize the new with the old, I'll also be using a pair of sealskin mitts custom-made for me by Martha Atqittuq, an elder and traditional clothing maker from the town of Gjoa Haven, where the journey will finish. I met Martha last summer after finishing a canoe trip in Chantry Inlet, connecting with her family at their summer camp at the base of a waterfall near the mouth of the Back River. We ended up staying with the Atqittuqs for five days in Gjoa Haven. I gave her husband Jacob my canoe and she made me these mitts. Though equipped with modern clothing, the mitts are a link between our journey and that of Rae's—millennia-old Inuit technology that worked for him and will work for us. To follow our progress along the route check out our live tracking map (starting March 28th), read daily blogs and haikus on our blog, or follow us on Facebook, Twitter and Instagram.